Pool owners want to spend more time in their swimming pools and less time performing maintenance and worrying about the water being too cold to go swimming. 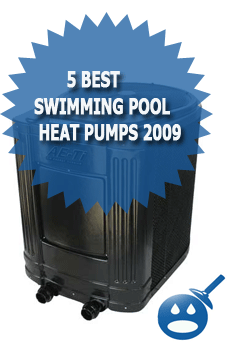 One of the best investments that you can make is a Swimming Pool Heat Pump. You may be concerned about your energy bills being too high. But the days of those big heaters are gone. Today’ s heat pumps are designed with the most advanced technology and they are all designed with the cost of energy in mind. There are some really great heat pumps out there. How can you know which is the best and which ones will save you money. You want to look at how many BTU’s each unit has, just like you would when buying an air conditioner. Take those same principles you would take when you buy an a/c and apply it buying a heat pump. Some of the best names in the heat pump industry are Hayward, Jandy, Aqua-Pro, Raypak and Pentair. Let’s take a look at what some of the features that these heat pumps have to offer. 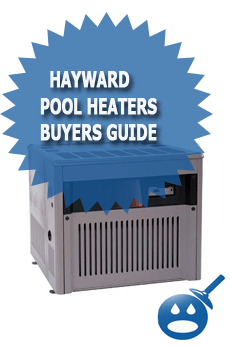 The Hayward Heat Pro 11002 works best on InGround Swimming Pools and Spa. These heat pumps are energy efficient will save you money all season long. One of the best features of the Hayward Heat Pro 11002 is that they have an Armour Coil Protected Heat Exchanger. This exchanger can heat your swimming pool better than gas with a fraction of the price. Some of the great features of the Hayward Heat Pro 11002 are the Digital LED and the easy to read control panel. On the control panel you will find a digital temperature read out and a self-diagnostic identification. The Hayward Heat Pro offers a Protective Vinyl Screen that is coated to help protects the evaporated coil from any weather damage. 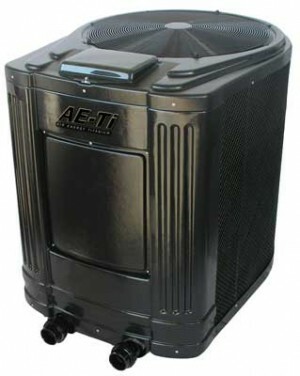 This heat pump is Energy Star Rated and will provide heated pool water in minutes. The price of this heat pump is around $ 2900.00 but if you shop around you may be able to find a great price, contact your local Hayward dealer. When you invest in a Jandy AE2000 Heat Pump, you are getting a great product that will save you money as well as heat your swimming pool efficiently. With the Jandy AE2000 you are getting a Titanium Heat Exchanger with a Lifetime Warranty. This heat exchanger is one of the most efficient in the heat pumps we have listed. You will also get a Digital Control Panel with Dual Thermostats. This control panel will show you the current temperature of the pool or spa and will monitor the temperature as the heat pump is activated. The Jandy has a patented Auto Heat System; with this system you are getting a heat pump that can keep your pool temperature on an automatic system for 24 hours a day. This means that won’t have to mess with the temperature until you find the right one. 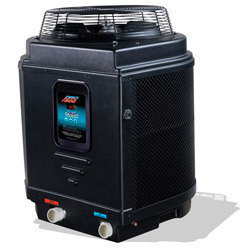 The Jandy AE2000 offers the highest BTU and C.O.P in their class. This means that you will get more efficiency and save more money on energy costs. The price of the Jandy AE2000 is about $3000.00. It can be really hard to find an above ground heat pump. But Aqua-Pro has the perfect one for your swimming pool. There are two different models available, the E4960 that is the Aqua-Pro Heat Pump for 13,000 gallons of water and the E4965 that is the Aqua-Pro Heat Pump for above ground swimming pools with 18,000 gallons of water. Each heat pump uses a 220-volt power supply so there are no special converters or plugs to buy. Aqua-Pro Above Ground Heat Pumps are backed by a 5-year warranty. These pumps are made with a heavy duty Cupro Nickel Heat Exchanger and a UV proof housing. There is a mechanical thermostat that is designed to work easily with the temperature settings. 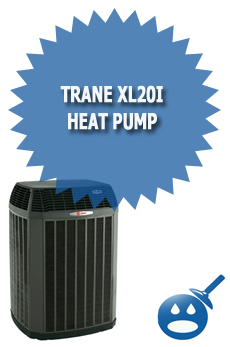 These heat pumps are priced at $1900.00 and $2450.00. You may recognize the name Raypak from a variety of products such as rechargeable batteries. 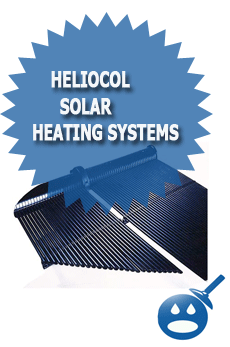 They have a new heat pump product inventory. The Deluxe 115,000 Heat Pump comes with a Titanium Heat Exchanger that will bring your swimming pool hot water in a matter of seconds. The 6300ti offers a BTU output of 115,000. The C.O.P is 5.5 and the new heat pumps are using the refrigerant R-22. This model uses a 208/230-volt energy supply with single phase and 60 Hz. The maximum circuit amps are 40 and the maximum breaker size is 60 amps. The water flow on the Deluxe 115,000 from Raypak is 25 to 80 gallons per minute. 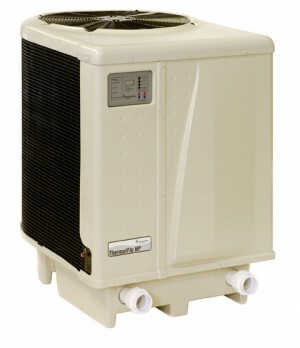 The Raypak Deluxe 115,000 Heat Pumps are competitively priced around $ 3000.00. You can shop around on the Internet for a better price. Pentair is world renowned for their line of swimming pool products including their heat pumps. The ThermalFlo Heat Pump is equipped with a 100% pure Titanium Heat Exchanger that will guarantee protection against rust and corrosion. This heat pump offers a new LCD control display that has a menu driven read out so it is easier to read and follow. The digital controls have dual thermostats that give an accurate temperature reading. With the ThermalFlo Heat Pump it has 125,000 BTUs and a high efficiency Trane compressor that is more reliable than some others on the market today. This heat pump uses an Auto Set features that keeps track of the water temperature and turn the water circ pump on and off in order to keep the temperature of the water. This Model 1200 has a C.O.P of 4.2 and breaker amperage of 60. There are no special plugs to buy or fancy converters to purchase. 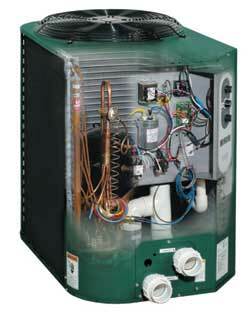 This heat pump is priced around $3600.00. You can shop around for a better price. Why not get the best heat pump for your best home investment. Sometimes we have to wait until the weather is ideal out to go swimming but with a new heat pump we can start the swimming pool season sooner and make it last longer. Take a look at these websites and see what other features and specs you need to make an informed decision. I want to know if the Aqua-pro E4965 is adequate for an aBOVE GROUND 16X32 POOL on Vancouver Island British Columbia. strips, I could actually clearly see a difference.